Everyone has their most beautiful records, gathering oohs and aahs from collecting friends. Isn’t it a beauty? Sharp corners, flawless glossy laminate, pristine, no writing on the cover, no storage damage, perfect, mint covers. A chance email from a reader prompted a new idea, a new theme: The LJC Chamber of Horrors, where readers can show off not their best, but the worst condition albums in their collection. 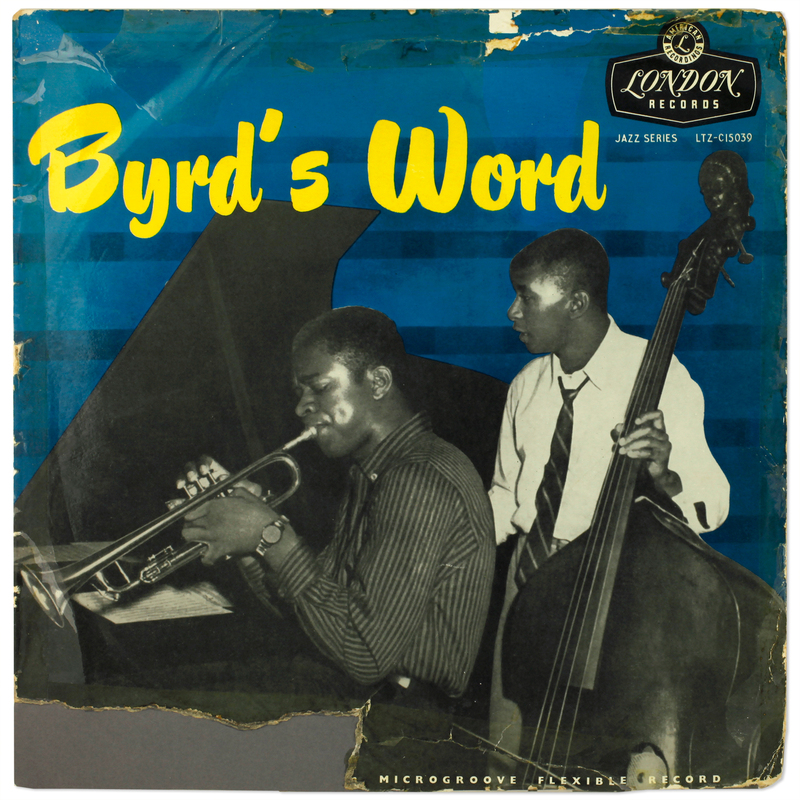 Not just any old album, it must be a premium collectable record, which originally had beautiful original cover, whose beauty previous owners failed to preserve it. Inner beauty, but outside, now The Beast. 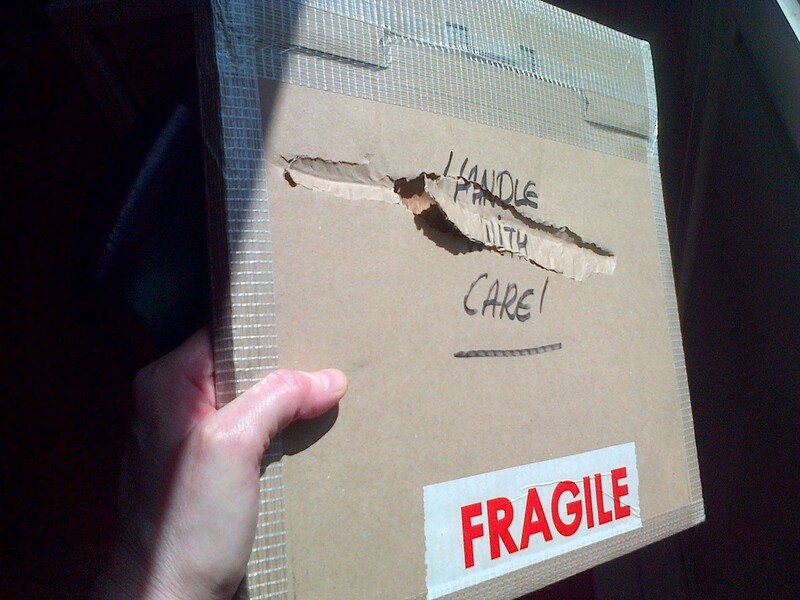 That is how it arrived, a billhook through the package, that scarred the vinyl. My inner psychologist says this is no accident. Some malign individual, possibly under the influence of the Evil Silver Disc, was provoked by the admonition – Handle With Care – to do the opposite. Readers will be relieved to know the record survived unscathed. Your stories or picture contributions welcome. Share your pain. Schadenfreude. What happens to an original laminated cover when encased in a rigid plastic sleeve which, over several decades, formed a vacuum seal with the laminate. Taking the cover out of the sleeve left half the laminate bonded to the sleeve. Next up, careless handling, no excuse, my office, now! 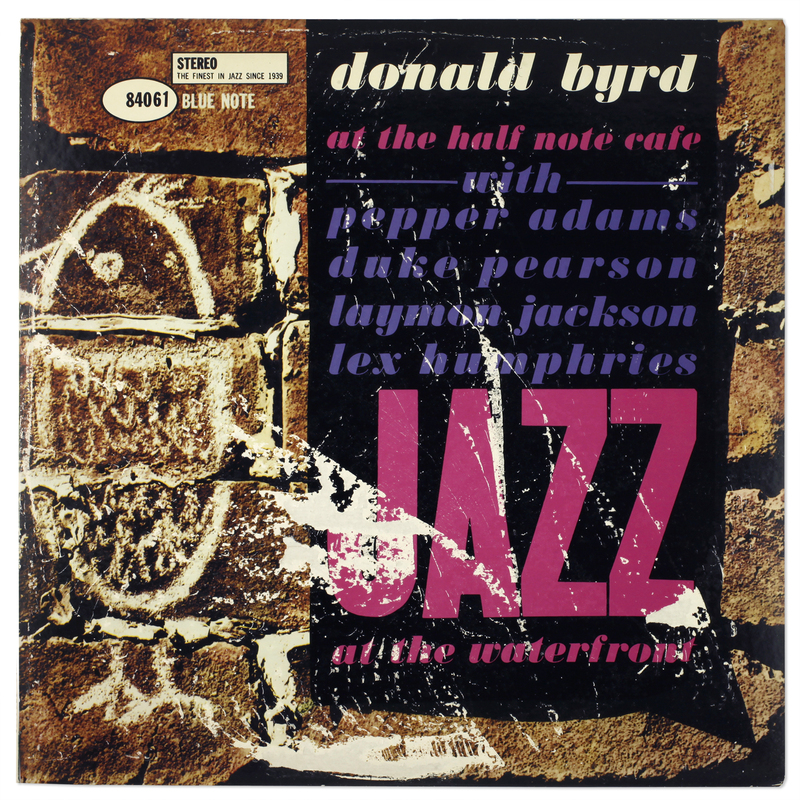 That beautiful London American cover, with a chunk of Byrd’s leg amputated, my grey card prosthetic in its place. How could they be so careless? 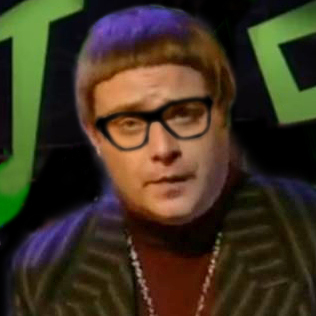 Felsted, Chet Baker, I Get Chet. 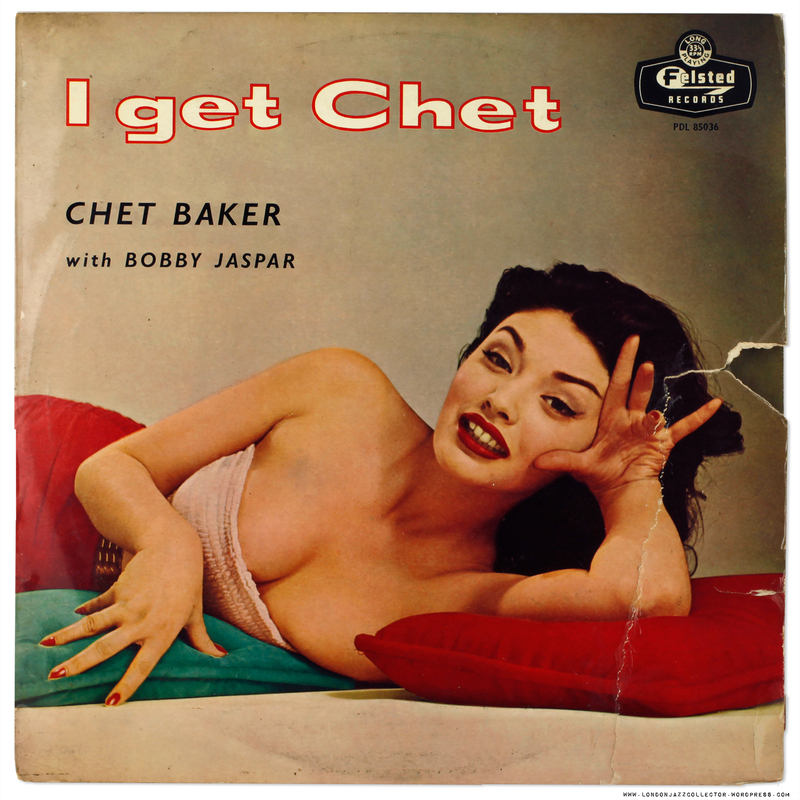 Final entry, rare as hen’s teeth, the cheesecake cover on Decca Felsted, Chet Baker I Get Chet. How could anyone not look after this lady, mother wouldn’t approve. She Gets Chet, what more could you ask? I once purchased a record with a good chunk missing from the record mailer. I opened the LP & took a look, then celebrated the fact that the LP had been spared much too soon. I took the record out of the sleeve & went to place it on my turntables platter, & then stared in horror when the LP actually fell into 2 pieces! Right down the middle too! There must have been enough of a connection left in the vinyl for me to get it from the sleeve to the platter without noticing the damage at first. Right down the middle I tell you! Truly horrifying!!! 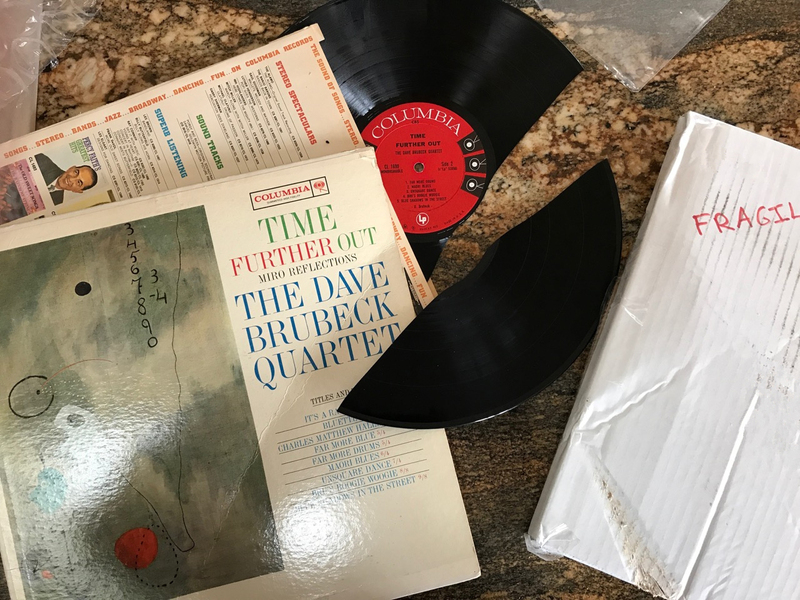 Reader Charles shared this slightly dog-eared copy of Saxophone Colossus, which saved him a small fortune on this iconic record. Reader Aaron got this through the post. Fragile? Who’d have thought it? Ryan S from The Windy City threw in this little oddity, a Savoy album cut out where the discounter stamped the vinyl NR, not returnable.